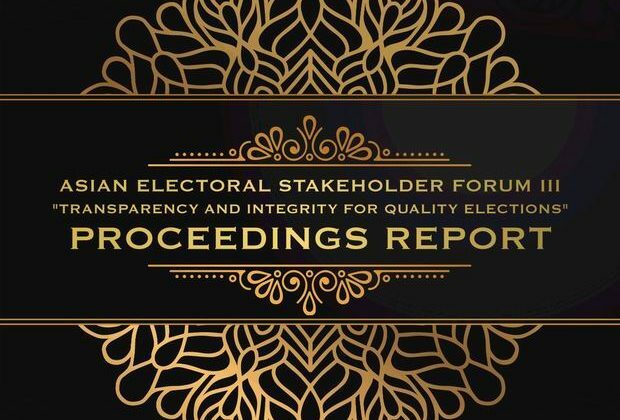 Asian electoral stakeholders have just reached another milestone in its pursuit towards more democratic and transparent elections in the region through meaningful cooperation among Civil Society and Election Management Bodies. The 3rd Asian Electoral Stakeholders Forum (AESF) was successfully held in Bali, Indonesia from 21-25 August 2016. It was co-hosted by the Komisi Pemilihan Umum (KPU) or the General Elections Commission of the Republic of Indonesia and the Asian Network for Free Elections (ANFREL). The Forum successfully gathered over 200 participants from around and outside Asia. The event concluded with stakeholders’ celebrating the endorsement of the declaration on “Electoral Transparency: 8 Keys to Integrity” During the FIVE-day interaction of Asian stakeholders, Indonesia’s EMBs took the lead and became an example on how to harmoniously and professionally facilitate discussions among various electoral actors. Provincial KPU officers coming from the 34 provinces of Indonesia also actively engaged in the discussions to learn from the international lessons in promoting elections. electoral democracy. The gathering provided hope amidst the increasing trend of repression and the shrinking space for civil society working for human rights and democracy in many countries. Asians, as one community, have effectively shown the rest of the world that stakeholders, EMBs and CSOs, can sit and talk to achieve common goals.